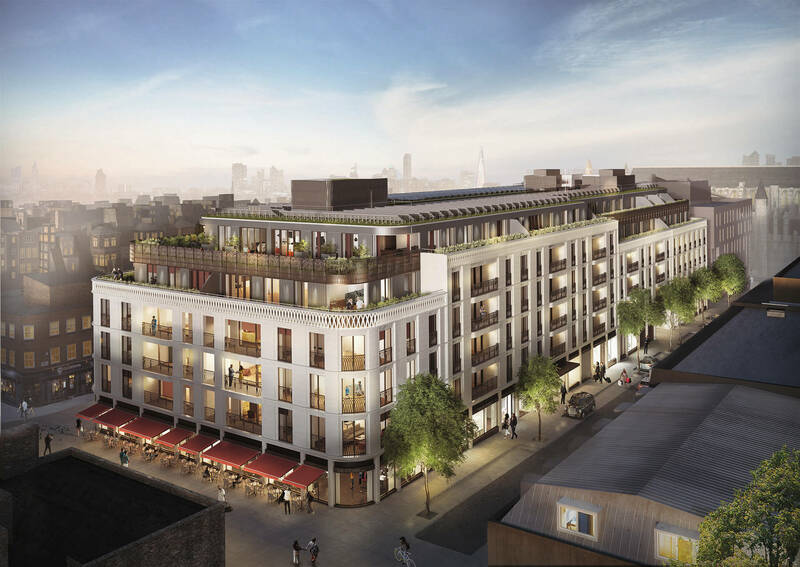 With its full city block setting, Marylebone Square is a rare chance to develop a bold and beautiful building on a piece of prime, storied real estate in a district rich in culture and history. 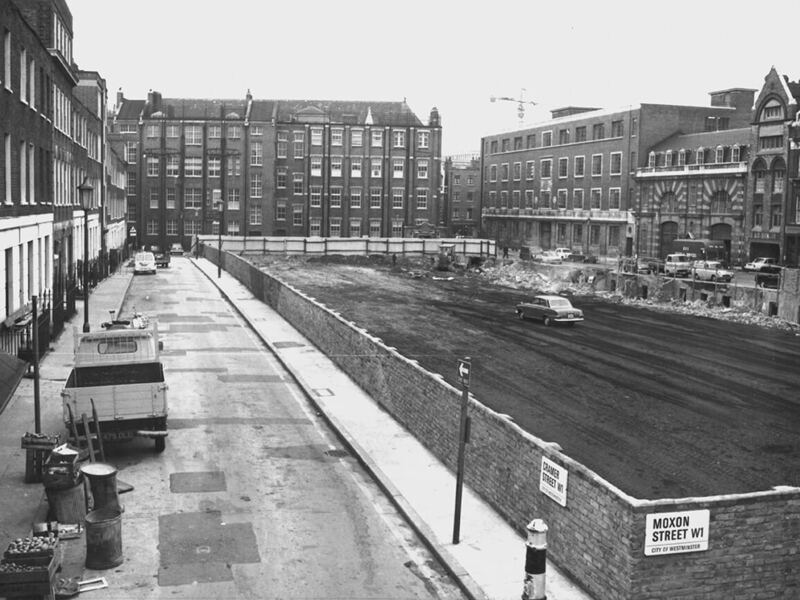 Bound by Aybrook, Moxon, Cramer and St. Vincent Streets, Marylebone Square is reintroducing a long-lost local street pattern to the area. For a piece of once noble land in Central London to remain unclaimed is unheard of. Yet, for the past five decades this prime spot at the heart of Marylebone has been left untouched. The site lies between the Portman Estate to the west and the Howard de Walden Estate to the east. Marylebone Square captures the grandeur of its surroundings, while maintaining the sensitive approach to stewardship characteristic of the area’s famous landlords. A contemporary interpretation of a classic London mansion block, Marylebone Square seamlessly blends into its historic surroundings where distinctive red-brick Georgian architecture are well preserved. The building is a celebration of intricate craftsmanship and high-quality, robust materials. Outlining the grand terraces surrounded the building is a distinctive lantern frieze and arrangement of cast metal balustrades. What sets Marylebone Square from traditional Georgian architecture is a glorious five-level, glass-canopied courtyard that forms the living centrepiece of the development. The courtyard allows all homes the dual aspect of having natural light and air penetrate both sides. 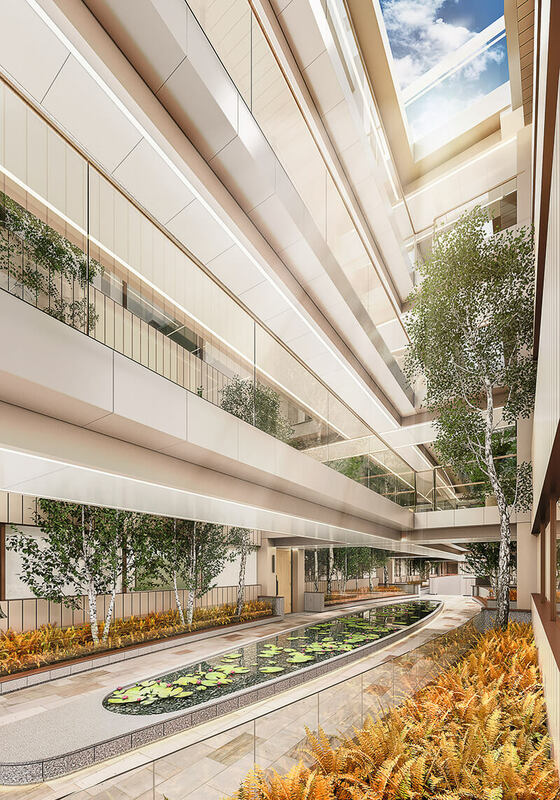 Panoramic glazed lifts take guests up from the lobby to their floor, providing views of the open courtyard as they rise. The central pond, manicured landscaping and tall birch trees fill the space with life. Modern design anchored with classic detail. 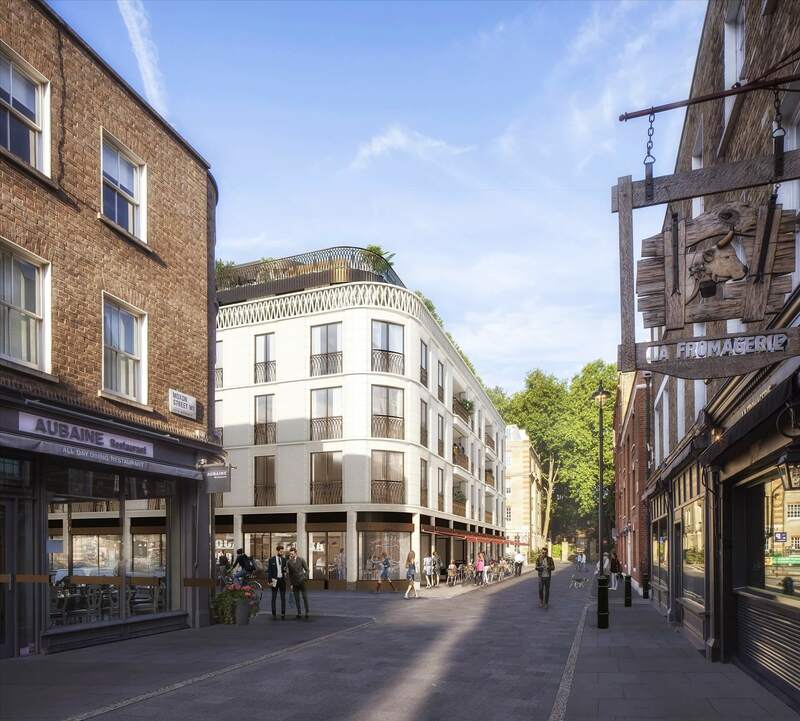 Marylebone Square is the perfect home for those looking for high-quality living in a comfortable environment. Refined, elegant and intuitively designed, the apartments and penthouses are generously spacious yet warmly intimate. Floor-to-ceiling windows and glass sliding doors mean the living space is always aglow with natural light – and the airy, open-plan layout makes it an ideal place for get-togethers. 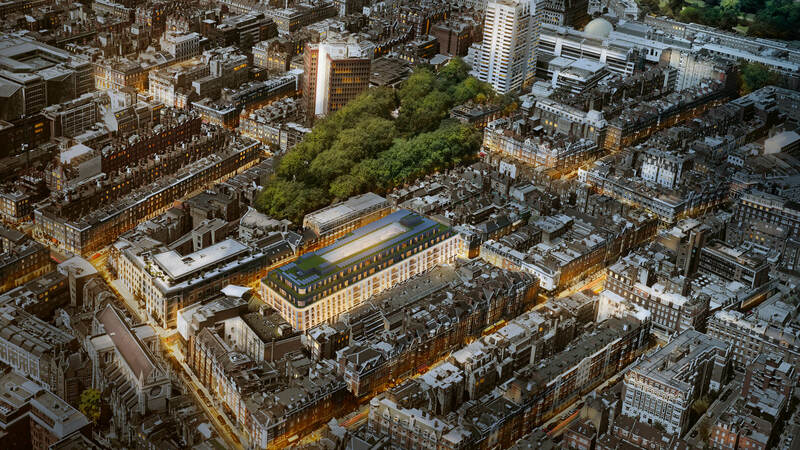 For more information about Marylebone Square, Please download the digital brochure below.